That’s some insight one cannot afford to miss. 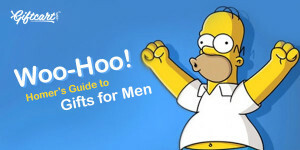 This is why here’s a compilation of gift ideas, Homer Simpson vouches, would work for every man. 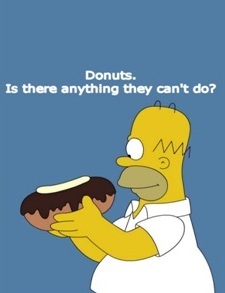 D’oh!nuts: It’s no rocket science, indulging a man in a dozen of seductive donuts will leave him asking for more. In case you didn’t know, the way to a man’s heart is through his stomach. Ear Muffs and Eye Masks: Many know the importance of sleep, especially during the work hours, without any disturbances. A noise-cancelling earmuff, along with a cooling eye mask, would be an ideal gift for such times. Personalise them to make the man feel more special. 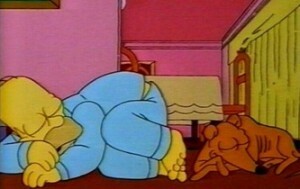 Beer: One may or may not get a ‘six pack’ even after exercising rigorously. 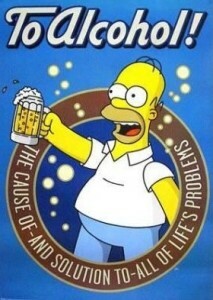 However, a six-pack beer often works wonders for a man. Just make sure the guy enjoys his drink even if he’s an occasional drinker. 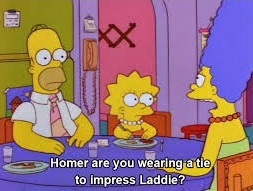 Ties: When one has to dress for formal occasions, one has to look his best, and who does it better than the Homer himself? Giving your man a silk tie ensures he looks sharp in formal and semi-formal attire. Sleepwear: Just as sleep is extremely necessary, so is sleeping in maximum comfort. Made of luxurious fabrics such as satin and silk, men’s sleepwear robes and pajamas are a stylish necessity.